Glencoe Youth Hostel i Glencoe, Skotland: Reservér nu! 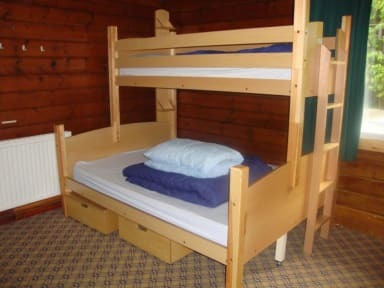 Set in one of Scotland’s most spectacular and historic glens, not far from Glencoe village, this alpine-style youth hostel offers a range of comfortable accommodation. Guests can choose from cosy solid wood panelled rooms, to larger family rooms and shared accommodation. Guests can opt for continental breakfast or prepare their own in the hostel’s well equipped, open plan kitchen. Other facilities include a spacious dining room, a small, cosy lounge and one of the best drying rooms in the Scottish Highlands! 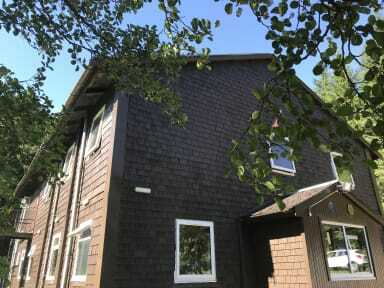 The hostel also offers on-site parking and a secure bike store. Basic provisions, confectionery and soft drinks are available to purchase at reception and guests can relax in the evening with a Scottish craft beer or a glass of wine.